Who doesn't love a ladybug? Also known as ladybirds or lady beetles, the little red bugs are so beloved because they are beneficial predators, cheerfully chomping on garden pests such as aphids. But ladybugs aren't really bugs at all. They belong to the order Coleoptera, which includes all of the beetles. Europeans have called these dome-backed beetles by the name ladybirds, or ladybird beetles, for over 500 years. In America, the name "ladybug" is preferred; scientists usually use the common name lady beetle for accuracy. Although ladybugs (called Coccinellidae) are most often red or yellow with black dots, nearly every color of the rainbow is found in some species of ladybug, often in contrasting pairs. The most common are red and black or yellow and black, but some are as plain as black and white, others as exotic as dark blue and orange. Some species of ladybug are spotted, others have stripes, and still others sport a checked pattern. There are 4,300 different species of ladybugs, 400 of which live in North America. 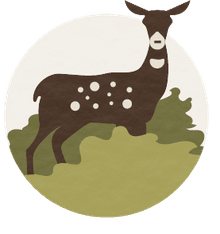 Color patterns are connected to their living quarters: generalists that live pretty much anywhere have fairly simple patterns of two strikingly different colors that they wear year round. Others that live in specific habitats have more complex coloration, and some can change color throughout the year. Specialist ladybugs use a camouflage coloration to match the vegetation when they're in hibernation and develop the characteristic bright colors to warn off predators during their mating season. According to legend, European crops during the Middle Ages were plagued by pests. Farmers began praying to the Blessed Lady, the Virgin Mary. Soon, the farmers started seeing beneficial ladybugs in their fields, and the crops were miraculously saved from the pests. The farmers began calling the red and black beetles "our lady's birds" or lady beetles. In Germany, these insects go by the name Marienkafer, which means "Mary beetles." The seven-spotted lady beetle is believed to be the first one named for the Virgin Mary; the red color is said to represent her cloak, and the black spots her seven sorrows. Startle an adult ladybug and a foul-smelling hemolymph will seep from its leg joints, leaving yellow stains on the surface below. Potential predators may be deterred by the vile-smelling mix of alkaloids and equally repulsed by the sight of a seemingly sickly beetle. Ladybug larvae can also ooze alkaloids from their abdomens. Like many other insects, ladybugs use aposematic coloration to signal their toxicity to would-be predators. Insect-eating birds and other animals learn to avoid meals that come in red and black and are more likely to steer clear of a ladybug lunch. The ladybug lifecycle begins when a batch of bright-yellow eggs are laid on branches near food sources. They hatch as larvae in four to 10 days and then spend about three weeks feeding up—the earliest arrivals may eat some of the eggs that have not yet hatched. Once they're well-fed, they'll begin to build a pupa, and after seven to 10 days they emerge as adults. The insects typically live for about a year. If you're unfamiliar with ladybug larvae, you would probably never guess that these odd creatures are young ladybugs. Like alligators in miniature, they have long, pointed abdomens, spiny bodies, and legs that protrude from their sides. The larvae feed and grow for about a month, and during this stage they often consume hundreds of aphids. Almost all ladybugs feed on soft-bodied insects and serve as beneficial predators of plant pests. 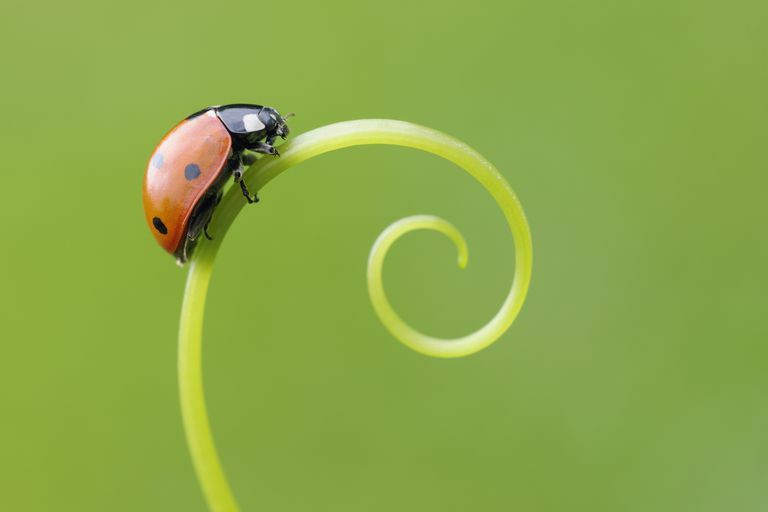 Gardeners welcome ladybugs with open arms, knowing they will munch on the most prolific plant pests. Ladybugs love to eat scale insects, whiteflies, mites, and aphids. As larvae, they eat pests by the hundreds. A hungry adult ladybug can devour 50 aphids per day, and scientists estimate that the insect consumes as many as 5,000 aphids over its lifetime. Because ladybugs have long been known to eat the gardener's pestilent aphids and other insects, there have been many attempts to use ladybugs to control these pests. The first attempt—and one of the most successful—was in the late 1880s, when an Australian ladybug (Rodolia cardinalis) was imported into California to control the cottony cushion scale. The experiment was expensive, but in 1890, the orange crop in California tripled. Not all such experiments work. After the California orange success, over 40 different ladybug species were introduced to North America, but only four species were successfully established. The best successes have helped farmers control scale insects and mealybugs. Systematic aphid control is rarely successful because aphids reproduce much more rapidly than ladybugs do. You may have personally experienced the effects of one of the biological control experiments that had unintended consequences. The Asian or harlequin ladybug (Harmonia axyridis) was introduced to the United States in the 1980s and is now the most common ladybug in many parts of North America. While it did depress the aphid population in some crop systems, it also caused declines in native species of other aphid-eaters. The North American ladybug is not endangered yet, but its overall numbers have decreased, and some scientists believe that is the result of harlequin competition. Some other negative effects are also associated with harlequins. In late summer, the ladybug gets ready for its winter dormancy period by dining on fruit, specifically ripe grapes. Because they blend in with the fruit, the ladybug gets harvested with the crop, and if the winemakers don't get rid of the ladybugs, the nasty taste of the "knee bleed" will taint the vintage. H. axyridis also like to over-winter in houses, and some houses are invaded in each year by hundreds, thousands, or even tens of thousands of ladybugs. Their knee-bleeding ways can stain furniture, and they occasionally bite people. Near large bodies of water all over the world, massive numbers of Coccinellidae, dead and alive, occasionally or regularly appear on the shorelines. The largest washup to date happened in the early 1940s when an estimated 4.5 billion individuals were spread over 21 kilometers of shoreline in Libya. Only a small number of them were still alive. Why this occurs is still not understood by the scientific community. Hypotheses fall into three categories: ladybugs travel by floating (they can survive afloat for a day or more); the insects aggregate along shorelines because of a reluctance to cross large bodies of water; low-flying ladybugs are forced ashore or into the water by windstorms or other weather events. If food is scarce, ladybugs will do what they must to survive, even if it means eating each other. A hungry ladybug will make a meal of any soft-bodied sibling it encounters. Newly emerged adults or recently molted larvae are soft enough for the average ladybug to chew. Eggs or pupae also provide protein to a ladybug that has run out of aphids. In fact, scientists believe that ladybugs will deliberately lay infertile eggs as a ready source of food for their young hatchlings. When times are tough, a ladybug may lay an increased number of infertile eggs to give her babies a better chance of surviving.